Equicizer is proud to have recently sent off an Equicizer to High Hurdles Therapeutic Riding Program in Sardinia, New York. 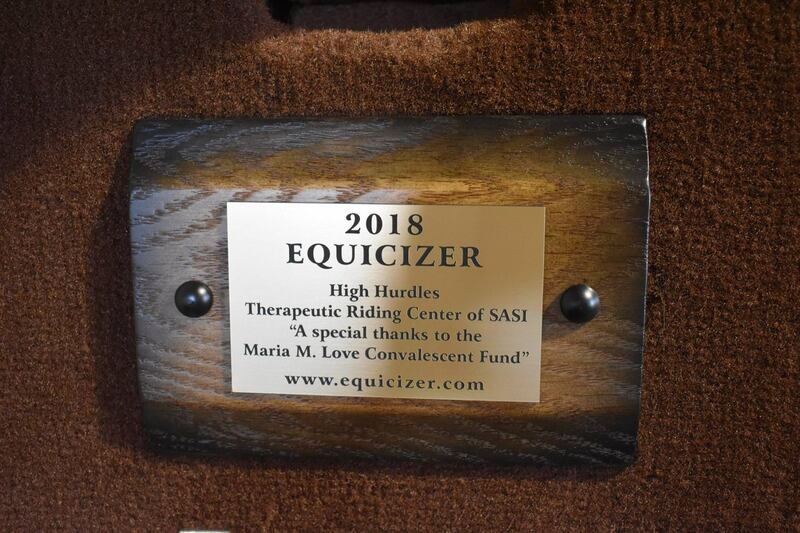 The Maria M. Love Convalescent Fund generously provided funding for the Equicizer to join the program at High Hurdles. 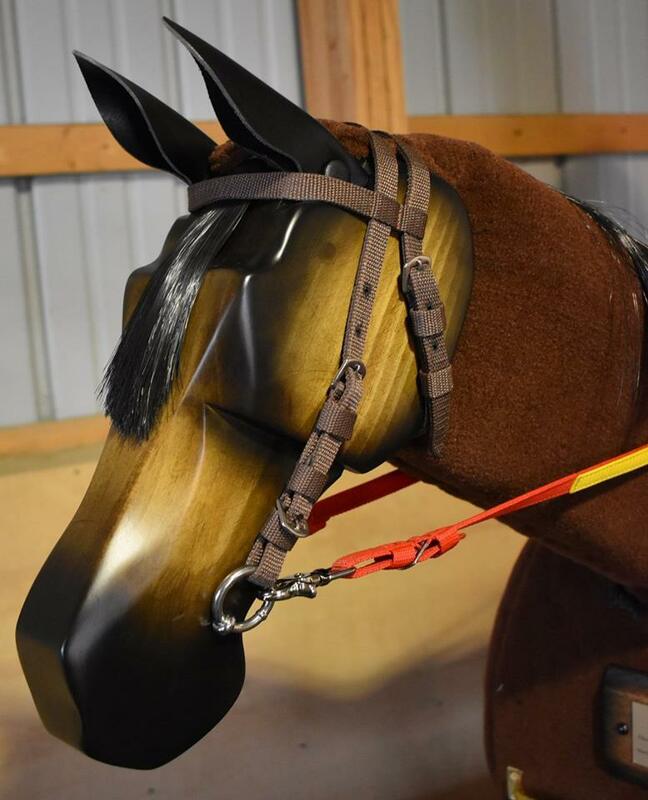 Their new wooden horse will help students who are not physically or emotionally ready to mount a live horse. Pictured below are two young riders using the program's new Equicizer on a rainy day. They learned proper mounting and dismounting techniques! Are you interested in learning more about applying for a grant or gaining a sponsor for an Equicizer for your own program? Check out our Information Packet for Non-Profit Organizations (Revised August 2015)​​​​​​​ for information and ideas. Have you stopped by our website to check out the Customer's Corner yet? We have added all kinds of new content there for Equicizer owners. You can track your Equicizer purchase, skim through our previous newsletter and blog content, join social groups for Equicizer fans and owners, follow Equicizer related TV and other media content, and more! We even have a link to one of our very favorite Equicizer-themed blogs, The 50+ Equestrian, which features Deborah and her Equicizer Winston on their fun, fabulous, faith & fitness journey! This is a Facebook group for those who are interested in using the Equicizer for Equine Assisted Activities and Therapies, as well as for anyone who works with individuals with disabilities at centers or in homes. The group offers a safe place where people can learn more about using the Equicizer in a range of therapeutic capacities through the sharing of ideas, success stories, pictures, videos, and encouragement! Last week, Kayla published a Wooden Horse Wednesday blog post featuring a letter from an Equicizer owner named Susan. The letter was a touching and heartfelt testimony to how the Equicizer has impacted her life and the life of her mother. Susan uses it to compliment her regular riding routine, and her 87 year-old mother also uses it and is feeling results in a different way. Make sure to bounce over to our blog to read this beautiful letter (and subscribe! ).